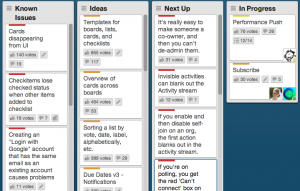 If you haven’t heard of it before, Trello is an online collaboration / project management tool. We’ve been testing it on a few projects at Distilled and personally I really like it. Most people who I’ve spoken to use it differently, its very flexible. In this post I’ll talk a little bit about the features and how I use it to manage multiple SEO projects. 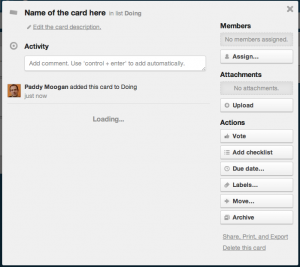 This is great because you can chuck all your notes, links, ideas and other stuff to the card and when the time comes to do the work, you have all your required information in one place. The one thing to remember here is that to truly be effective, all team members must embrace and use the system. Its no good assigning cards to people if they never login and check them! Update: Thanks to Marc for pointing out this nifty little Chrome extension which lets you copy a Trello board including the columns, preferences etc. This is really cool for using the same board template across multiple projects. You can make these into cards and they can be moved to your done column. I make sure that at the start of an SEO project, the Deliverables column includes EVERYTHING that the client has requested as part of our contract. Of course these may change as the project progresses, but as a starting point, I make sure I have written down everything we have agreed to do. I’ll tend to order the deliverables roughly in order of which ones I’ll work on first. Then when I’m actually working on that deliverable, I’ll move it to the In Progress column. I try to make sure that I have no more than 2-3 deliverables in progress at one time. Otherwise it can be too easy to spread yourself too thin and end up not finishing anything. When working on multiple clients, I’ll often come across relevant opportunities for clients I may not be working on at that precise moment. For example I may find a good link opportunity, but I don’t want to get distracted away from my current work. So I’ll quickly pop over to Trello, find the card that is relevant and add a note on the back. If a card doesn’t existing, I’ll just add one and come back to it later. In relation to this, you can also have another column for “Ideas” which can be things you think of which may not be part of an agreed deliverable. You still want to capture these ideas somehow and make sure you don’t just forget about them. So an ideas column which you check every few days can be very good for this and possibly adding extra value to your SEO project. This also sits well with the Getting Things Done system which encourages some kind of way of capturing all your ideas into one central place. You can just do this in a single column and if an idea becomes a deliverable, you can just move it along the columns and delegate accordingly. 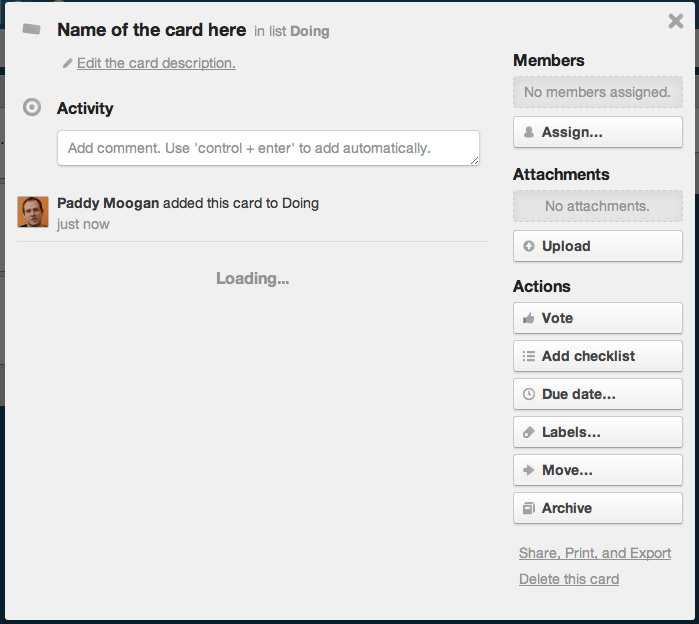 The one thing I’d love to see Trello do is create a way of filtering cards across multiple projects. For example if I want to see all the cards that are currently “In Progress” across five projects, it would be great to filter and see what I should be currently working on. Right now, its a case of going through each project one by one which isn’t terrible, but can take time. Overall I really like it, its not perfect, but most tools for project management are not perfect for everyone. If you use Trello, let us know in the comments what you think of it and any tips you have for using it. Nice – good to get someone’s work process on this, I’ve used it fleetingly. Sounds very similar to how I’m using Trello for SEO projects. I do have separate lists for each month of work, though, if the project is an ongoing monthly engagement. Then the client can see what will happen when, but I only set up one extra month in advance. I’ve been using Trello for the past 3 weeks now. I’ve accepted now that there is no project management tool out there that will fit my process perfectly, and provide all the features I need. That being said, Trello is so flexible that I organize my lists exactly how I need them. I don’t have to make the project fit the project management application, I make the application fit the project. I would love to see more features on it like: filtering (which you said; time-tracking; and a calendar so you can see how your organization members are utilized, and how time is utilized, in order to make sure that your organization or individual member isn’t overbooked, or have too much slack time. you might look at the color labels. you can filter your cards by color label and/or user. clicking the transparency button rather than hide really brings particularly hot items to my attention. Trello looks interesting, but for me you just can’t beat Basecamp. Not the new version, but the “classic”. This has all the tools I (you?) need. Excellent list management, messaging and collaboration, file and asset management, calendars, time tracking, an excellent API, tons of plugins, and the ability to bring in clients to help keep the transparency. Oh yeah, early forgot the most important bit: Templates. Entire project templates or just to-dolist templates. This alone saves me any many hours per month. I have also looked at other similar systems like http://www.Myintervals.com, Huddle etc but nothing came clost to Basecamp. Just my views for what it’s worth… Always interested to hear how other people manage their SEO and whether I can improve my systems. Just started using it and I have to say it looks really great and I’m hoping to introduce it to my team here at work. Will definitely help in getting to-do lists and priorities worked out and distributed across the team so we all have 100% visibility on what needs to be done. I can see what you mean with wanting to be able to see all related cards across multiple projects or boards, but it’s still a very useful tool nonetheless. Great post. Checking it out. I personally use asana.com and have been impressed with their tools. I have found it very easy to teach contractors how to to use it. Trello has nice UI, but I wish they would have a more usable export, and a wiki for info or a text editing area for in each project. Also a way to organize project and lists in folders/subtrees. Thanks for sharing how you manage your projects. One thing I’m not sure how you manage is budgetting and time allocation for each client. For example, if you pay an outsourcers for some design work for an infographic, how do you manage the financial reconciliation of this? Or if you are doing some affiliate work, how do you see what you’ve spent, invoiced and have as a balance? I’m also curious to know about time management. Can you allocate time to tasks for a client? Or do you use another timesheet recording system to do this? I’m currently looking at options for our team and would be interested in your views on the above. Very good points Andy! At our agency we use Activecollab. This tool knows everything you need, at the end of the month we can see how profitable each project was using a bit our Excel skills too. It is cool seeing other peoples Trello work flow. Great article! 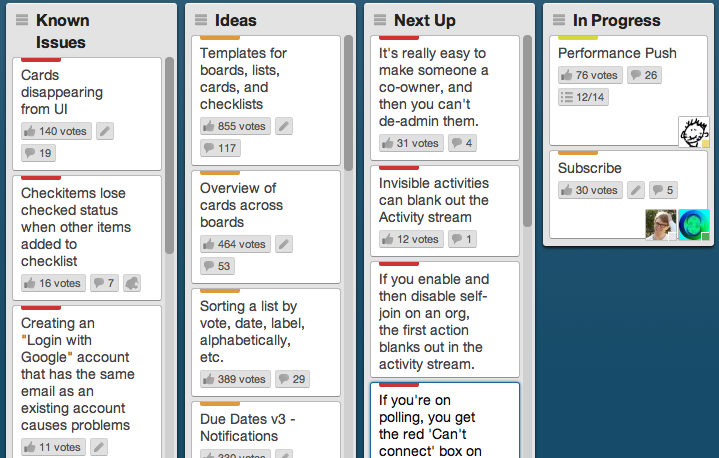 We’ve been using Trello for a little over a year now. We mainly use it for Daily To-Do and Project Management, but have also been slowly adopting Agile methodologies. This helps alot. Take a look at http://www.emelloapp.com for integrating email to Trello. This has made things so much clearer and manageable. My challenge has been not so much in starting the tasks but completing them. I think this system should help me keep things more sane.